Free yourselves from ineffective paper, Outlook and Excel based systems. 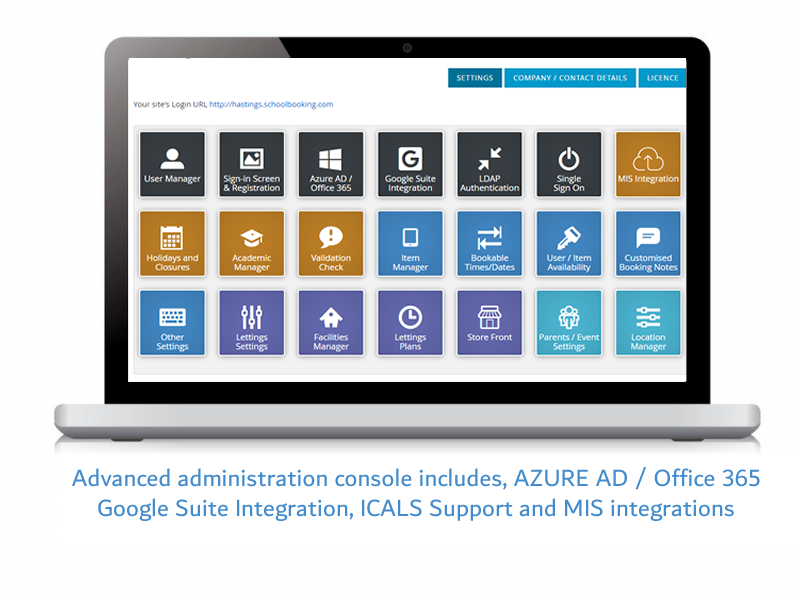 We integrate with MIS platforms to ensure that lessons, cover, rooms and staff are always up to date. Our number one priority is to delight our customers with easy to use and intuitive booking software. Intuitive booking pages with simple layouts. View the details for all rooms & resources on a single date, or view the details of a single room or resource over the course of a whole month. Each bookable item can have notes and photos attached so users can quickly find what they are looking for. Each user has their own account to login to a SchoolBooking dashboard, where they can update their profile with favourite rooms and resources, personalise the booking page view, look at both historic and future bookings, and export bookings to their Outlook calendar. Each booker receives a confirmation email after logging a new booking and can choose to receive reminders on the day. Schedule multiple bookings quickly. During the booking process you have the option to reserve an item on multiple dates. You can do this across time slots, years, weeks or days. 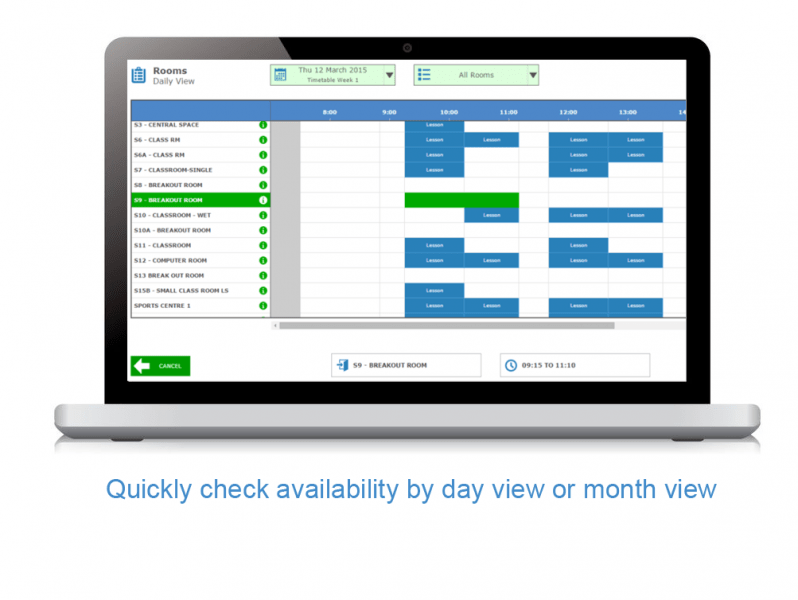 Our unique grid display means that repeat bookings with no regular pattern can be made. Group your items for easy filtering during the booking process. The main feature of the resource manager module is the option to add quantities. E.g. you may add a laptop trolley and add a quantity of 30 laptops – this then allows laptops to be booked individually. Items can share the same booking times & dates as each other, or vary so they have completely different times. 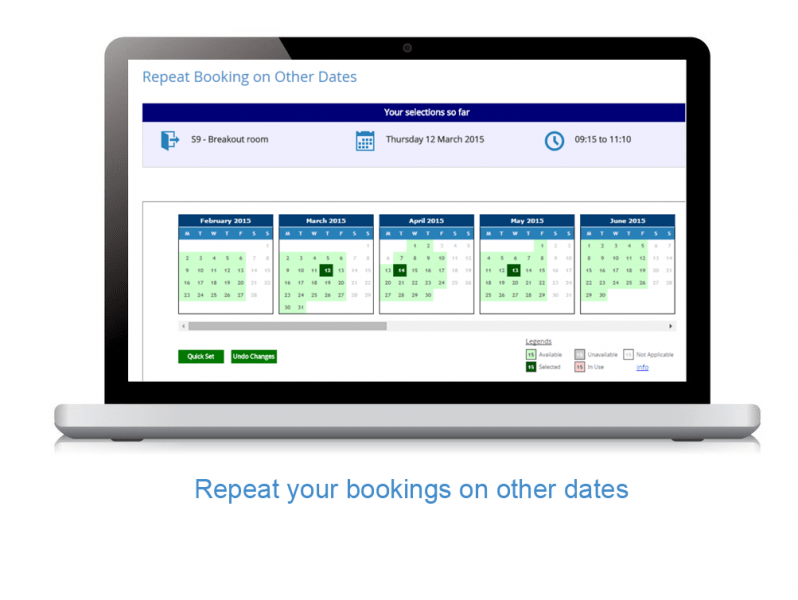 The booking grid is a key part of SchoolBooking. As the Administrator, you can heavily customise the grid as well as import / sync your school timetable so that users can easily see what is going on throughout the school day. 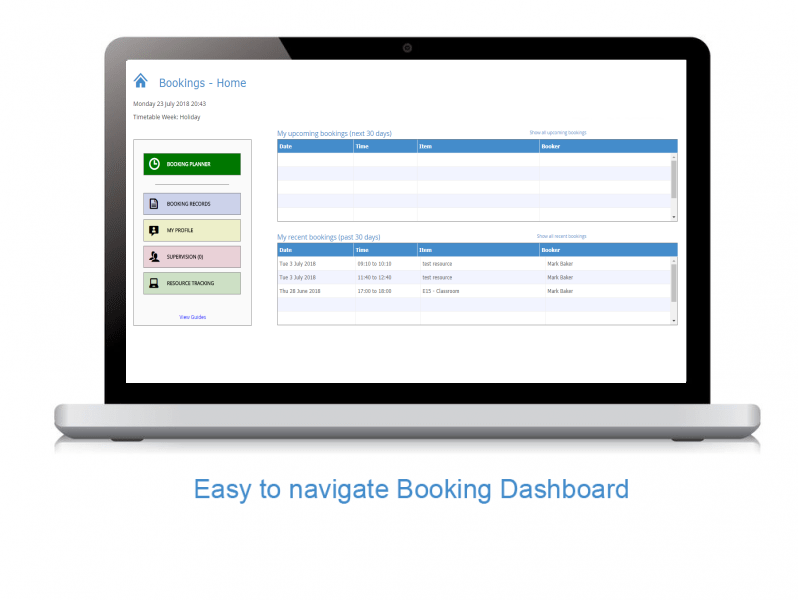 Booking managers can over-rule standard user permissions and also book on behalf of others. Each individual user, room and resource can be set with their own unique booking restrictions. This includes the minimum notice required, how far into the future bookings can be logged, and whether weekend bookings should be allowed. Each user, room and resource can be assigned up to six monitors. Each monitor will be notified by email of all booking activity involving that user/item (including new bookings, cancellations, and adjustments). Keep an extra eye on your bookable resources so that their current location is known at all times. Using the tracking feature you can mark your resource items as collected and then check for unreturned or late items. 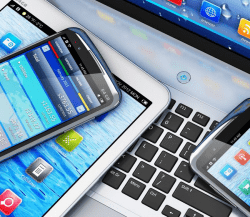 Although other settings determine which items & dates are available to each user, as an extra safeguard certain types of booking can be given a temporary status of ‘pending’ until accepted/rejected by a booking manager, admin or specified item monitor. 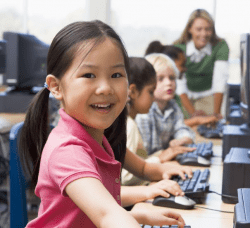 SchoolBooking links neatly with a range of MIS platforms supporting the automatic synchronisation / extraction of lesson timetables, cover and closures. Does your school run a two week timetable? Our weeks module will allow you to assign weeks against your timetable. View and manage all individual lessons on screen. 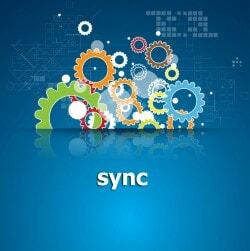 Sync user accounts/passwords with your site network (optional). 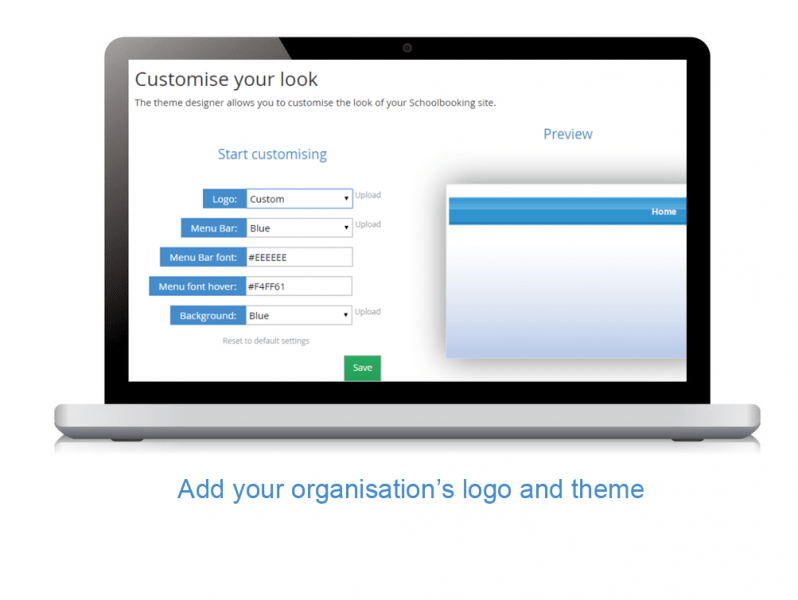 Customise your login screens and the theme of your site by adding images and changing colours. Determine future provision and budget planning: use your data to complete advanced analysis on trends. 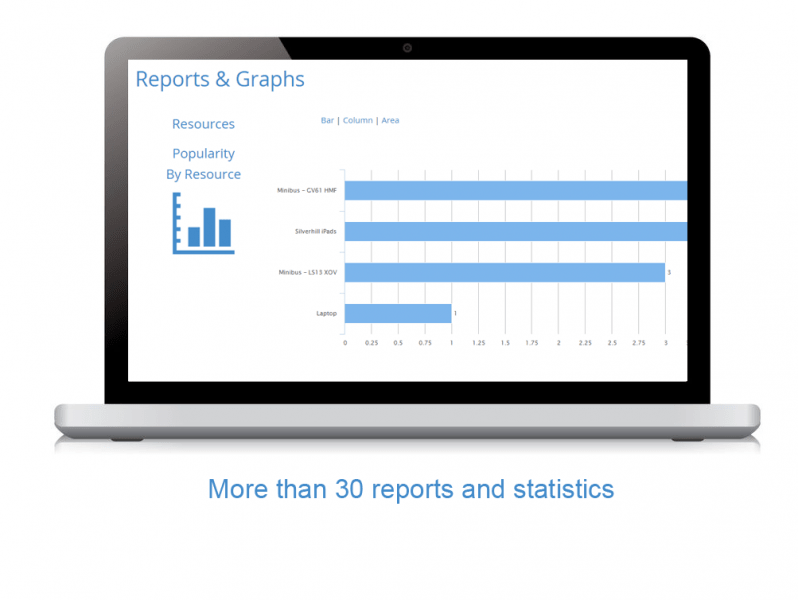 With over 30 detailed reports you can see exactly which rooms and resources are being used, and which are neglected. See how SchoolBooking can make room and resource management easy.